Enrollment resumed for Lane County’s 4-H Program in October following a three year hiatus. The return of the *Tack Sale this Saturday (tomorrow/today) seeks to raise funds to keep the program going. Lane County cut funding to its 4-H Extension Program in 2010. During that time, interested youth had to go to Benton County to participate. Program Coordinator Kate Hammarback says for the past three years, they’ve been gauging interest in bringing 4-H back to Lane County. Hammarback says this is the biggest event since 4-H resumed. 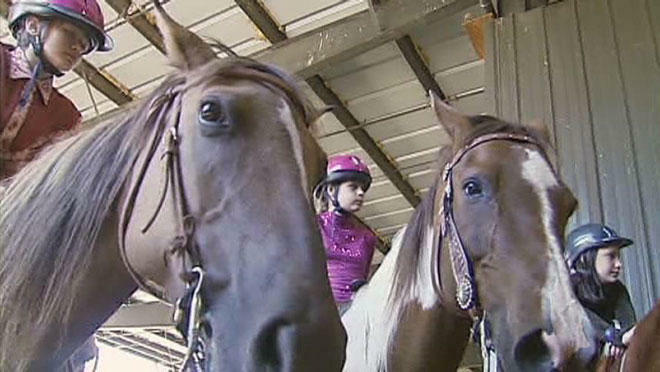 The focus of the Tack Sale is to provide assistance to children wanting to learn about horses. There will be more than 70 vendors and all proceeds will go to Lane County’s 4-H.
Lane County’s 4-H Tack sale is Saturday at the Oregon Horse Center on Prairie Road in Eugene from 8 to 3 PM.